ItemI-33323 - Finlay Forks from Island Camp. ItemI-33331 - The bridge over Bridge River. ItemI-33335 - Landing at the east end of Seton Lake. ItemI-33339 - Seton Lake fish hatchery. ItemI-33343 - McDonald's ranch near Lillooet. ItemI-33351 - The Fraser River from the Lillooet Bridge. ItemI-33355 - Stagecoach near Canoe Creek. ItemI-33359 - Chilcotin Road at 95 Mile. 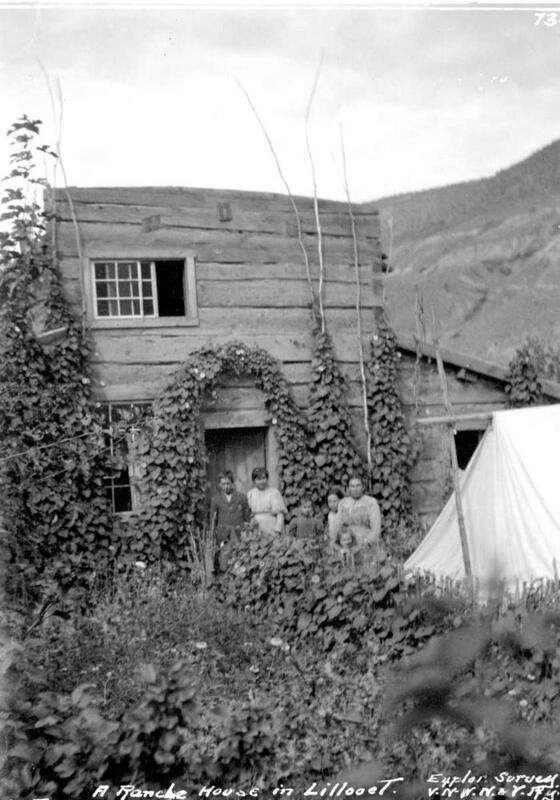 Item I-33343 - McDonald's ranch near Lillooet.